Restore lost volume, smooth lines, soften creases, enhance facial contours, lips and hands with Dermal Filler…a cost-effective way to look younger without surgery or downtime.. can be combined, during the same treatment session, with BOTOX® Cosmetic or Dysport®. Call for a free consult. Sculptra is an injectable cosmetic filler that can be used to restore facial volume lost due to aging by stimulating collagen production. It can be used to treat deep lines, creases, and folds to give a more youthful appearance. 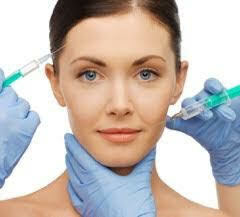 Replace lost volume in your hands with Dermal Filler. Restylane Lyft is FDA approved for the use on hands. It helps to replace loss of fatty tissue; rejuvenating the hands by pluming out the skin to hide veins and smooth out wrinkles for a more youthful appearance.